Our Psychology course is very well established and has a long history at City. All our courses are continually reviewed and managed by a dedicated team of academic staff, who make sure the programme is fit for purpose and that our students are happy and thriving. Our staff have come from across the globe and have taught in many very well established institutions such as Warwick, Bristol and UCL. Their research and interest areas are broad and many of them have worked as practising psychologists in a variety of fields. Here’s a quick overview of a few of our Psychology staff who may teach you. If you attend one of our Applicant Days you’ll get to meet even more of them. Dr Corcoran is a Health Psychologist. She researches and writes journals on Substance Misuse and Addiction issues. Her specialist area of research is loss and bereavement issues around Addiction. Communication issues with hard to engage clients. Dr Paula Corcoran is Programme Director of BSc Psychology at City, University of London. This means she oversees the programme as a whole, looking at assessment methods, the curriculum and many other things. She started an MSc in Research Methods (social Psychology) at the Methodology Institute, London School of Economics and Political Science and she has recently completed her PhD at City, University of London entitled 'An exploratory study of the social representations of heroin and heroin users'. She used to be a visiting lecturer at Kingston University (Surrey) and City. She became a permanent member of the City staff team in 2009. She has worked in rehabilitation! Dr Corcoran held several management positions in services working with street homeless drug users, Phoenix House rehabilitation centre and a third stage housing project for clients in recovery from substance misuse. 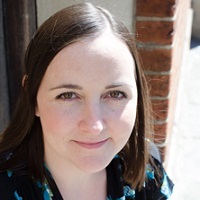 Dr Sophie Lind specialises in Developmental psychology, developmental disorders -(particularly autism spectrum disorder) and Memory (particularly episodic and autobiographical memory). She is also involved in specialist research in Metacognition, developmental disorders and Spatial Navigation. Received a 1st class Psychology degree from The University of Warwick, before completing a PhD in Psychology at City. Completed a Post-doctoral Fellowship, funded by the charity, Autism Speaks. Lectured at Durham University before joining the Psychology staff team at City, University of London in 2013! Dr Lind is Co-Chair of the Psychology Research Ethics Committee which reviews all student research proposals (from Undergraduate to PhD) to make sure they meet the code of ethics. Dr Elliot Freeman’s research is focused around contextual interactions between modalities -> such as vision and hearing. His research involves experimentation with transcranial electrical stimulation. Numerical cognition- currently involved in collaborations examining interactions between the processing of time, number and space. Gained a PhD in Psychology at Bristol University before completing a fellowship in the institute of Cognitive Neuroscience at UCL. Lectured at the Psychology department at Brunel University and started working at City, University of London in 2009! 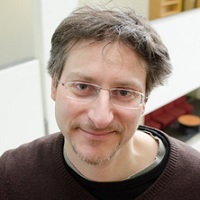 Dr Stian Reimers is currently the associate editor of Behaviour Research Methods, a journal that publishes articles concerned with the methods, techniques, and instrumentation of research in experimental psychology.